Mark started his working life with his family’s residential building company, Alan Sheppard Homes, a name very well known in Adelaide. 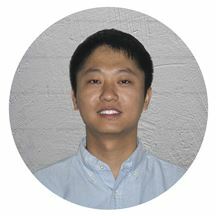 For five years he combined his role as a building supervisor and estimator with a highly successful long distance swimming career. His time in the building business gave him an excellent overview of the housing industry. Mark moved to Queensland to further his opportunities as a swimmer. There, he was, a member of the Queensland Academy of Sport and his dedication and competitive spirit saw him represent Australia, QLD and South Australia many times. 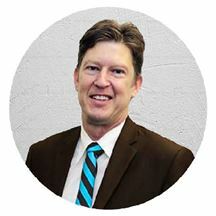 Mark is full of fresh ideas and enthusiasm, something that is appreciated by his rapidly growing list of satisfied clients. His Manager’s Licence is further evidence of his focus and determination to forge a head. When you entrust your home or investment property for sale with Jan you can be confident that she will be looking after your interests 100%. Jan's approach to selling is personalised for each client and each property. She listens to your needs, outlines the various options available, makes recommendations, then tailors strategy and marketing to achieve the best result for you and your property in the prevailing market. She has successfully sold property in every phase of the property market cycle and has sold around 1300 homes in her award winning career - all price ranges from entry level to prestige. Always enthusiastic - Jan loves a challenge and aims to make the process of selling and purchasing property a positive experience for all involved! Jan's clients benefit from her practical advice, wealth of knowledge, experience, can- do attitude and most of all, the quality of care she devotes to looking after their interests. The long list of happy clients are her best promoters ! Solving Your Real Estate Needs for over 20 years. Knowledge, experience and longevity are your guarantee from me toward delivering you a very successful sales result. 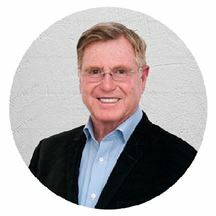 Specialising in the coastal and western suburbs, although equally at home selling in any Adelaide suburb, I will provide you with honest and reliable real estate advice. My primary focus is to help my clients achieve their real estate dream. So if you are wanting a committed real estate agent who values integrity, open communication and the personal touch then you should talk to me. Having commenced his real estate in 2005 in the commercial sphere, Michael has since moved into residential real estate sales and taken up that role with the team at Harcourts Sheppard. Michael is not your average agent. 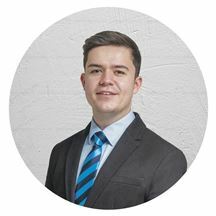 As a qualified and well practised lawyer, Michael not only brings with him the advantage to his clients of a vastly superior knowledge of the law as it effects property but also the confidence and skills of an experienced negotiator determined to achieve great outcomes for his clients. 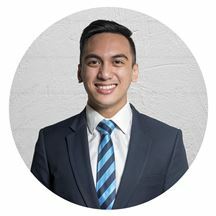 In addition, having supported his studies in customer service roles in five star hotels, he is acutely aware and highly committed to combining all he has learned to deliver his clients a five star experience when selling. If you are considering selling and looking for peace of mind and confidence in your agent, if you are seeking someone who carefully listens and responds to your needs and if you seek to be kept informed and well advised, Michael is well worth a call. With a real estate career that spans 20 years, Nicholas is a true professional, diverse in approach and covering a broad spectrum of the industry, including directly negotiating several hundred of residential & commercial sales transactions, development sites and house & land packages. Whether you are an occupier, investor or developer, he can deliver personalised & tailored solutions to meet your needs, achieve your goals and accelerate your success. Sarah Sheppard (nee: Williams) has been an employee of the Brock Harcourts group since the beginning of 2001. 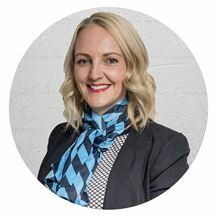 During this time she has rubbed shoulders with some of Adelaide's best real estate sales consultants so it comes as no surprise after having already spent 15 years in the industry and majority of that time with the market leaders that she is an award winning consultant in her own right. As a result Sarah is also extremely knowledgeable having sold many residential homes, vacant land, assisted with sub-divisions and other wealth creating projects involving real estate. Sarah counts integrity and honesty as her most cherished values and her outstanding results speak volumes for the dedication she believes her clients deserve. Her open personality and optimistic approach go well with her genuine interest in people, and real estate. Amelia has been working in the Real Estate Industry for more than a decade in both Residential and Commercial property. Having worked in many roles she has a sound knowledge of all facets of Real Estate and has a passion for property. Amelia’s position as Property Manager and Office Administrator involves working in a faced paced environment, Amelia is efficient, friendly and committed to creating a smooth atmosphere within the work place. Amelia will manage your property with control and care, her attention to detail, thoroughness and dedication provides a service which will give you peace of mind. You will feel comfortable with Amelia’s honesty, knowledge and efficiency. Amelia values her clients and knows the importance of having confidence in a Property Manager is the key to building a lasting relationship. Amelia will keep you up to date, answer any questions, provide advice and will work timelessly to create the best result for you. Cara commenced her career in Real Estate in 2005, starting out as a receptionist assisting in all aspects of Real Estate. You can be assured Cara has the years & experience to efficiently manage your investment. 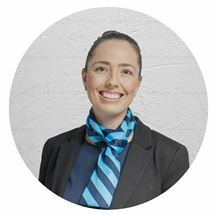 Having participated in Certificate IV in Property Services, Cara has an excellent knowledge of The Residential Tenancies Act & other Property Management processes. A successful Property Manager requires attention to detail, excellent organisation, open communication and a genuine friendly caring manner. You can be assured Cara possesses all these attributes plus more, assuring you Cara will care for your property as if it were her own. Having come from a retail background, Kelly prides herself on her exceptional customer service. By the age of 22 she was managing a busy hairdressing salon. Kelly believes that until you have both rented and owned an investment property you cannot truly understand what a landlord/tenant requires from their property manager. Kelly started her investment portfolio at the age of 23 after being involved with real estate for 3 years. Although only new to the real estate industry, her knowledge and service will impress you. Property Management isn’t just a job for Kelly, it’s her passion. Susan Gooley has worked most of her adult working life in the property industry. Starting out at a national commercial agency in Adelaide, where she spent just over four years as a sales and leasing administrator. During that time she decided to further her knowledge and become a licenced salesperson in residential sales. Susan joined the Harcourts group in 2001, specialising in the sales administration area, her roles have changed over the years but her focus on customer service and accuracy have stayed the same. 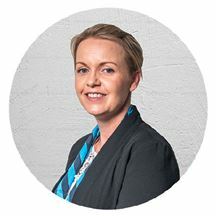 Joining the Harcourts Sheppard Property team at the start of 2007, was just the next step, where she brings her wealth of experience to the office team as their Operations and Finance Manager. Incredible & One of A Kind! It's the Pick of the Bunch! Sold to a Registered Buyer! Lots of Wow Factor Here! 2 Properties On One Title! Stones Throw From The Ocean! Like new with nothing to do! Your Very Own Relaxed Pad! Be Right On the Lake! Live in Comfort or Lease Out!